Discover the best bounce house rentals, jump house rentals, and slides in santa rosa! Searching for the best bounce house rental service company in Santa Rosa? to pimping out your party.... And for providing a fun and memorable event for all, of your party guests with bounce houses in santa rosa! santa rosa bounce house rentals by prime time come in many varieties. We have a great selection of santa rosa bounce house rentals to choose from. When you need a bounce house rental in santa rosa please call Prime Time Bounce houses and inflatable games. With inflatables for rent in Northern California, from the central valley, to sacramento, to the bay area, to your area........ a great selection of the newest cutting edge attractions, interactive inflatable games and blow up toys, inflatable water games, carnival games and inflatable mechanical bulls for rent, competitive prices, awesome package deals, energetic experienced staff, and on time professional service. Prime Time offers a truly memorable experience with our fun kids inflatables for rent. So if your looking for inflatable rides and kids game rentals and your bored with the alternatives, invite Prime Time to your next event and experience problem free, trouble free interactive FUN every time! 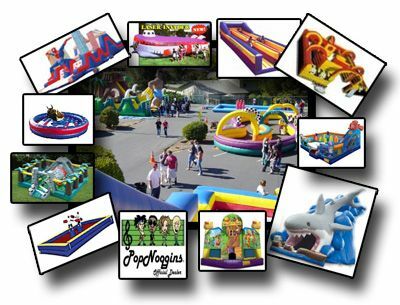 We have 26 years of experience with inflatable games, bounce houses and special events! Jumper Rentals in Santa Rosa by Prime Time Interactive are delivered by inflatable game professionals with over 27 years of experience. Looking for Bounce House Rental in near me in Santa Rosa?